The family of Surface computers is now large enough to cause a bit of confusion for those who are thinking about buying one. Is the small Surface Go the best fit for your workload? Perhaps the detachable Surface Book 2 is a better choice, despite being more expensive, because of its included keyboard and optional discrete graphics? What about the newer Surface Pro 6 or Surface Laptop 2? These devices look somewhat similar at first blush, but there are some pretty stark differences that you should know about. 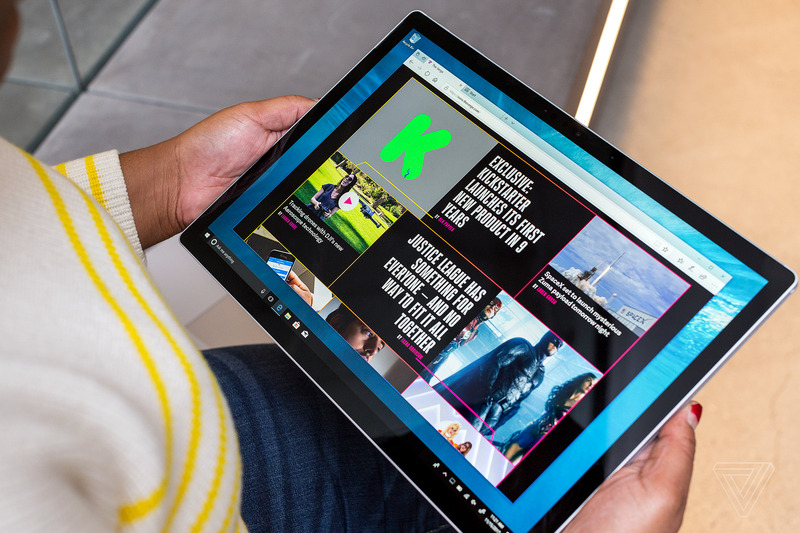 Microsoft’s 12.3-inch tablet-laptop hybrid is the easiest to recommend for most people. 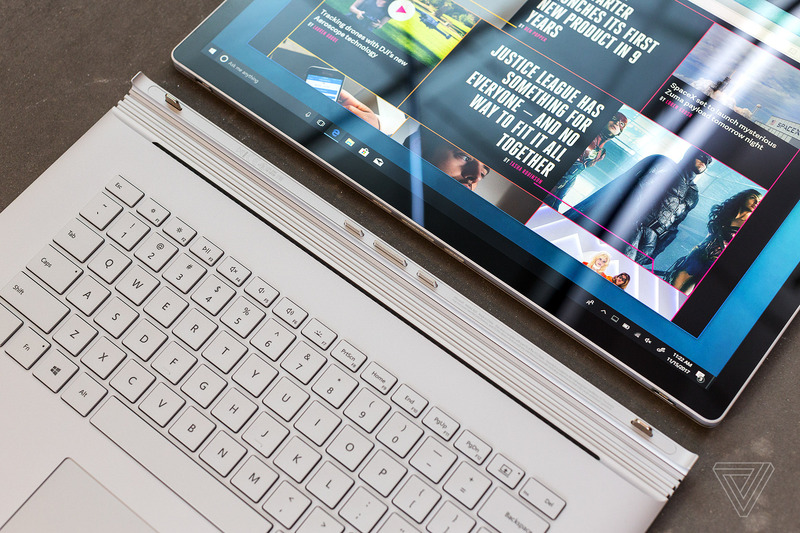 Starting at $899, its 8th Gen Intel Core processor, sharp display, and higher RAM count amount to a considerable step up in performance and price compared to the Go — though Microsoft forgot to add a USB-C port to this year’s version. The previous generation isn’t totally left in the dust by the Surface Pro 6, but the latest model feels snappier, and it effortlessly handles multitasking without its fans spinning up. What hasn’t changed is the Surface Pro 6’s position in the Surface hierarchy: it’s not cheap, but it’s also not too expensive. It’s pretty powerful, but not the most powerful. 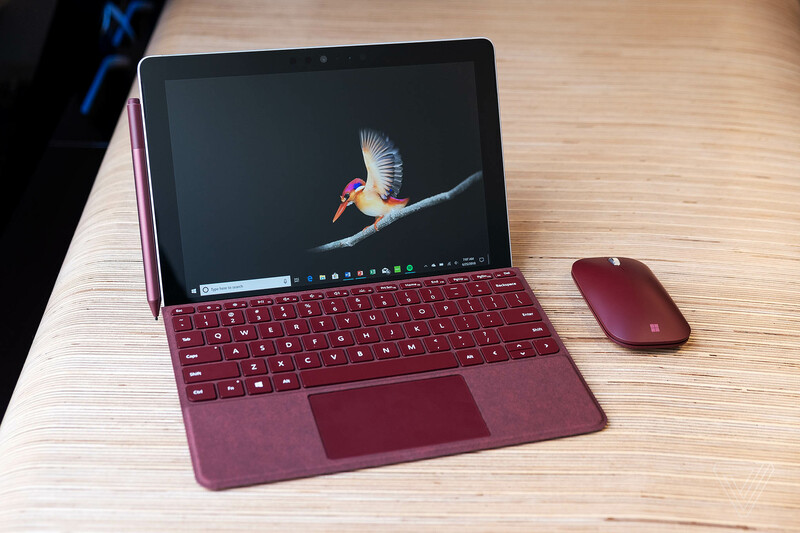 Unlike the Surface Laptop 2 and Surface Book 2, the Surface Pro 6 comes prepped out of the box for tablet mode only, leaving it up to you to supply a mouse and keyboard. If you want a keyboard that suits its styling, Microsoft’s official Type Cover will set you back over $100. 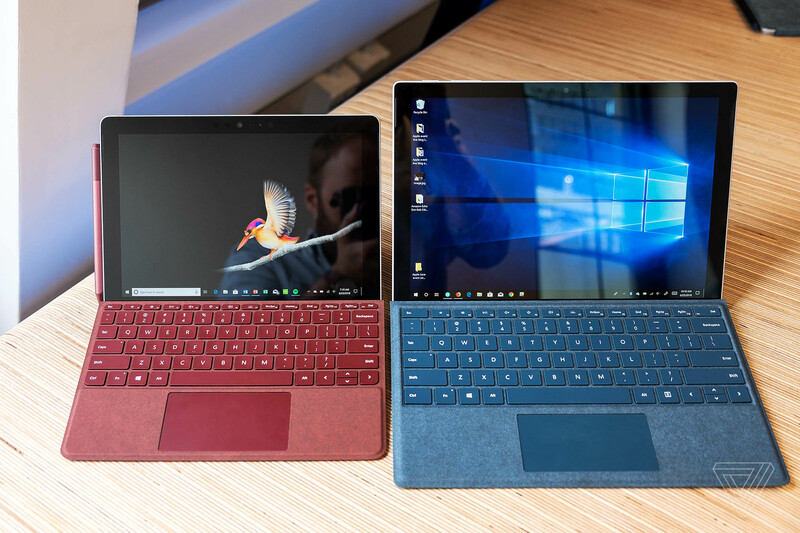 With or without the Type Cover, the Surface Pro 6 runs Windows 10 Home and is ready for your apps and games with full compatibility with x86 and x64 apps. Your accessories will also work with the device’s USB-A port. Need to plug in via USB-C? Microsoft’s $79 accessory will help you do that. 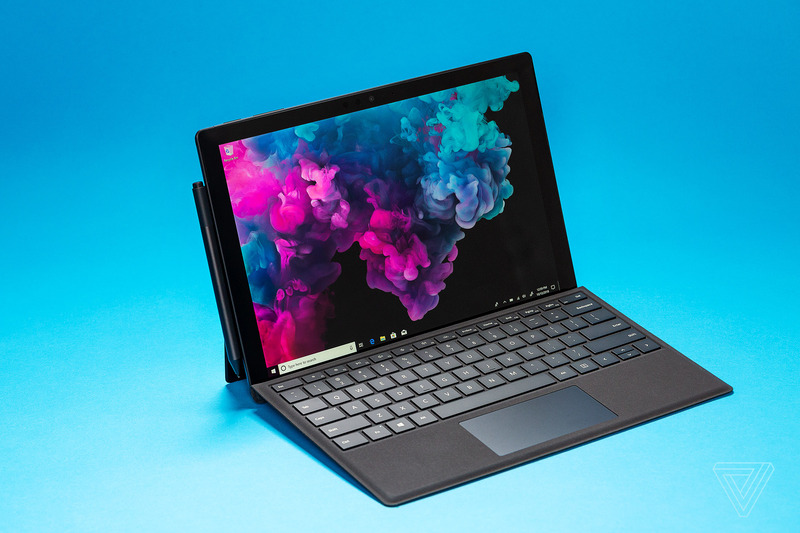 But in addition to the financial expense, it occupies the all-important Surface Connector that’s used for charging the Surface Pro, and it’s not even that good. 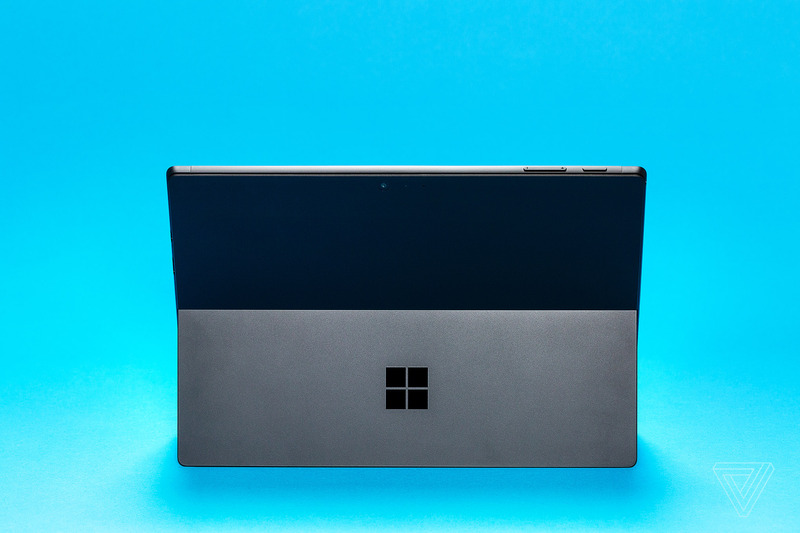 There’s a good amount of compromise to swallow with the Surface Pro 6 compared to your average laptop at a similar cost, especially pertaining to the performance you’re getting for the price — not to mention the added expense for the all-but-necessary accessories. Even so, this Surface is a good fit for those who aren’t too picky but still want on-the-fly access to both a capable computer and a touch-friendly tablet. 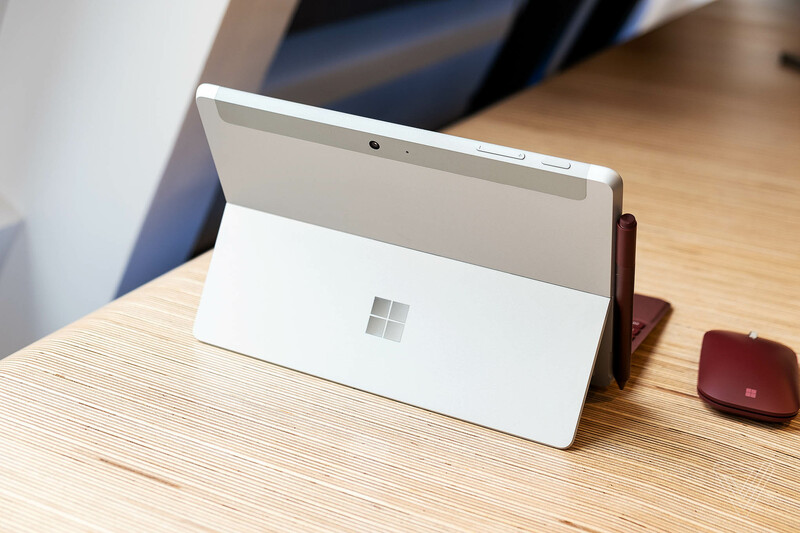 The Surface Go takes the presentation of the Surface Pro and shrinks it down to a device with a 10-inch display. Aside from a drop in performance — though Dieter Bohn says not to underestimate it — not much else is lost in the change in size. And, surprisingly, it has gained a USB-C port, joining the Surface Book 2 as Microsoft’s only laptops with built-in USB-C ports. Compared to the Surface Pro 6, this option can just as easily transition between tablet and laptop. But it similarly relies on pricey proprietary peripherals to make the most of it. The Type Cover costs $99, and the Surface Pen costs another $100 in addition to the Go’s $399 base price. On the inside, the Go is currently the least-powerful Surface computer available, and it comes with Windows 10 in S Mode by default. This means that only the Universal Windows Platform apps available on the Windows Store can run on it. This won’t be an issue for those who rely on a small batch of popular programs, but if you use a wide variety of apps or just enjoy deeply customizing your PC, you’ll likely want to take advantage of Microsoft’s one-way switch to Windows 10 Pro. If your computer has to be a small one, the Go is the right choice. Just know that with the added accessories, you’re quickly getting close to Surface Pro 6 pricing. 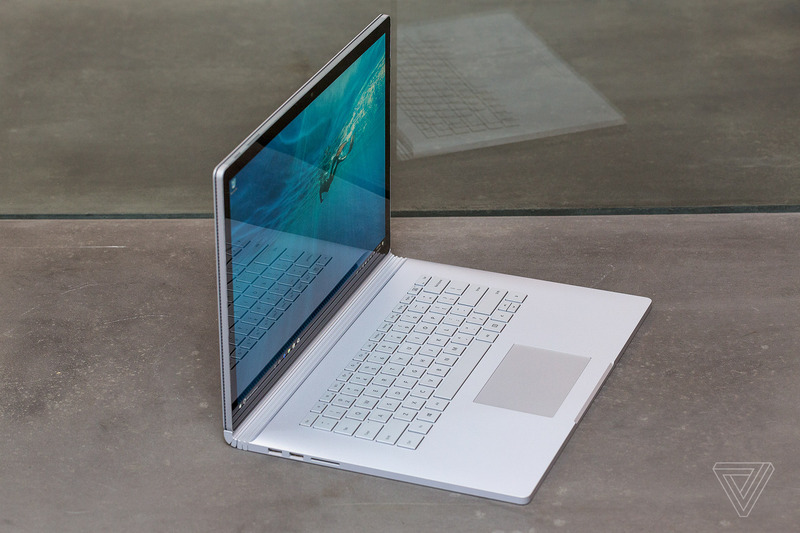 The Surface Book 2 is loaded with extra power for improved battery and performance in the included keyboard base. Available in 13.5-inch and 15-inch models, the Book 2 competes more directly with Apple’s MacBook Pro. Expect more power across the board and a price increase to commensurate with the gains to go along with it. 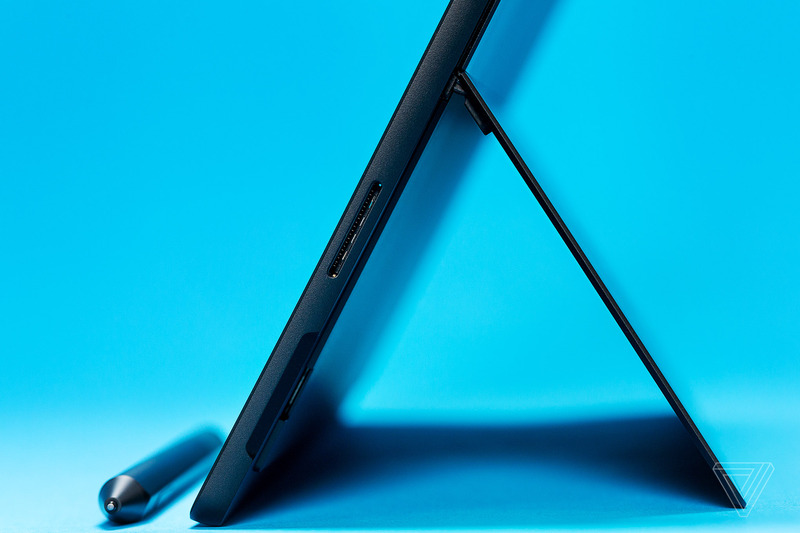 Both the Surface Pro 6 and Go have kickstands that work nicely on tables, but they don’t make the most comfortable or stable experience on your lap. Depending on your size, you may need to squeeze your legs together to support it, which can be a trying exercise. On the other hand, the Book 2 and Surface Laptop 2 lay flat across your lap like a traditional laptop computer. Folded up, the Surface Book 2 is compact, though it doesn’t close like a true clamshell laptop like other Surface devices. A gap in its design between the tablet and the keyboard leaves it somewhat exposed to dust and dirt, and that may prevent it from easily fitting into your backpack and / or seatback compartments. Aside from its design, the biggest differentiating factor between the Book 2 and the other Surface devices is the power potential. If you have the money to spend, you can craft a thin yet formidable laptop that can handle most creative endeavors with relative ease. Though, if you’re a gamer, don’t get too excited about its GeForce GTX 10-series graphics. 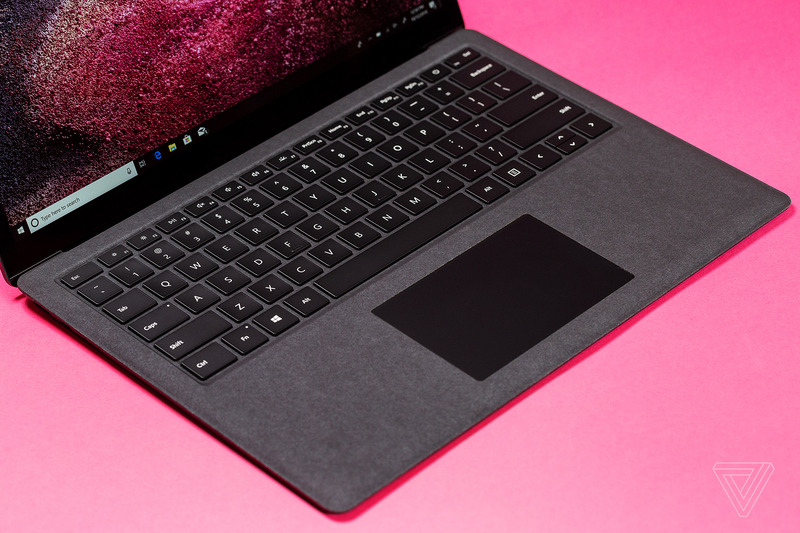 The Surface Laptop 2 is quite literally Microsoft’s most cohesive effort yet. 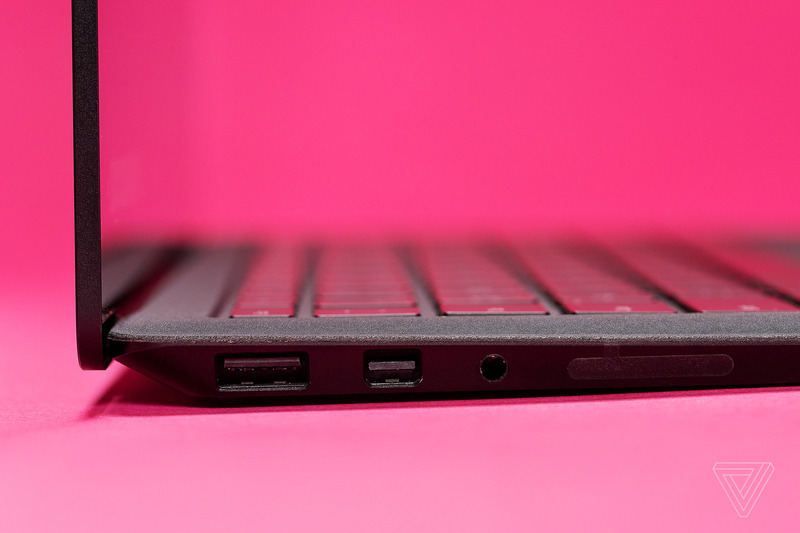 It’s a full-fat laptop that doesn’t allow you to detach it for tablet mode like the other devices. Now in its second generation, this option still isn’t the best for those who want shape-shifting versatility above all else. But if you’re after a no-fuss experience right out of the box, the unity of screen and chassis means there’s no need to splurge on additional accessories like a Type Cover. And compared to the Surface Book 2, this machine takes up less room in a bag and can fit into tight compartments. 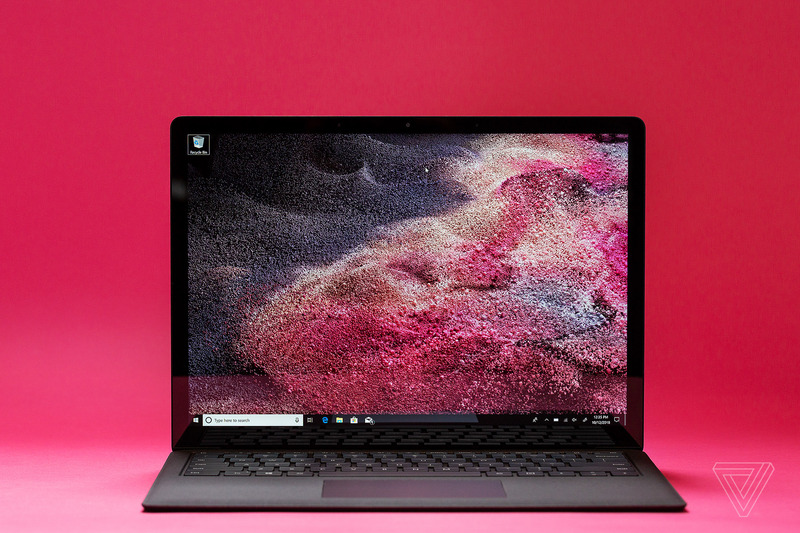 Along with the Surface Pro 6, Microsoft recently gave its Laptop an overdue refresh. It features Intel’s 8th Gen processors, 8GB of RAM at the base configuration, and is available in a few new colors, though it’s largely similar to last year’s model in its appearance. Windows 10 Home is the default operating system here, which is a shift from last year’s base model that shipped with Windows 10 S. If you used features that are exclusive to Windows 10 Pro, you’ll have to pay to upgrade to that version. At $999, the most affordable Surface Laptop 2 costs a bit more than the Surface Pro 6. What it lacks in its ability to turn into a tablet, its backlit, Alcantara fabric-covered keyboard might be worth the extra cost — even if you’ll need to frequently clean it to avoid discoloration. The Studio is the odd one out as the sole desktop option. But in keeping with the Surface philosophy, it’s quite flexible and multipurpose compared to your traditional all-in-one. Its 28-inch screen can move to assume the position of a high-resolution tablet with minimal input lag, which is beyond handy if you foresee drawing or 3D modeling with the Surface Pen. Microsoft has announced a refresh for 2018, though it still may not deliver what power users are expecting out of a desktop that costs thousands. When it launches in November, it will include a 7th Gen Intel Core i7 processor (Intel just announced the 9th Gen) and start with 16GB of RAM, a 1TB solid state drive, and a Nvidia GeForce GTX 1060 for graphics. Most of these specs are fairly large improvements over what came before, but even if the design is still impressive in the AIO market, the package seems to be behind the curve in terms of performance for your money. The form of the Studio is in constant battle with its function to be the most interesting aspect, though none of that’s useful if you’re after a Surface that you can take on the go. This one packs in the design sensibilities of portable Surface devices, but you aren’t going anywhere with the Studio. Perhaps none of the Microsoft-made options are right for you. If after reading this you feel that’s the case, check out 的边缘的 pick for the best laptop you can buy right now. (It may surprise you.) And if you want a machine that can easily handle gaming, we’ve sorted through a few of the best gaming laptops.